* In January 2019, Phoenix acquired Bright Light Systems. The project below references the previous generation of Phoenix’s Highland Series and the LIT System. Port Freeport is strategically located just a few miles outside of Houston on the Gulf and is the 26th largest port in terms of annual tonnage and one of the fastest growing ports in the US. 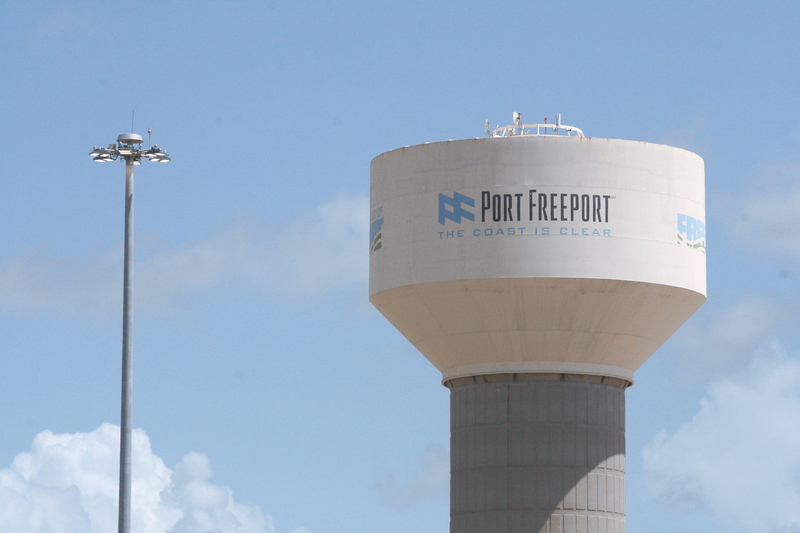 In 2015, Port Freeport handled 125,000 TEUs, which was up 25% from the previous year. With expansion plans ongoing with the new Velasco Terminal, Freeport estimates that an additional 90 acres will soon be available for container operations, increasing their capacity to 800,000 TEUs annually. 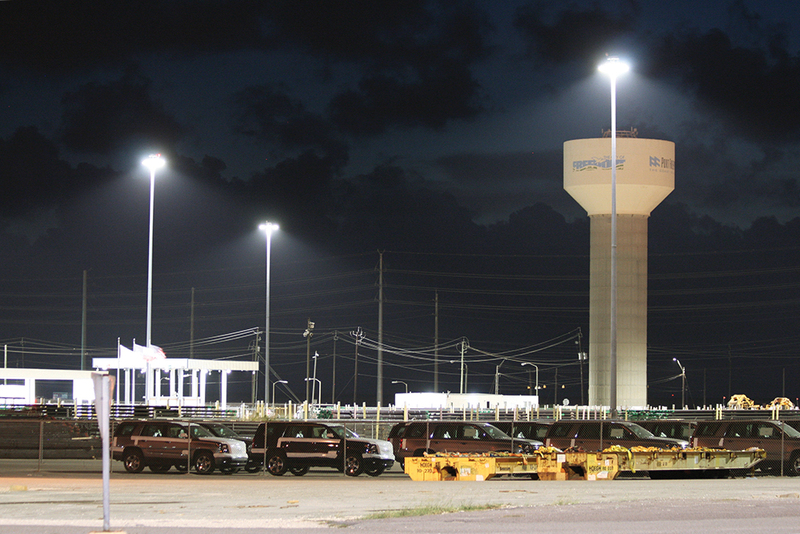 Freeport is expanding their port operations and realize that their traditional 1000 watt HPS lights are not only energy inefficient but also require constant maintenance. The customer is looking for a solid-state LED lighting solution that provides energy savings as well long-term reliability. 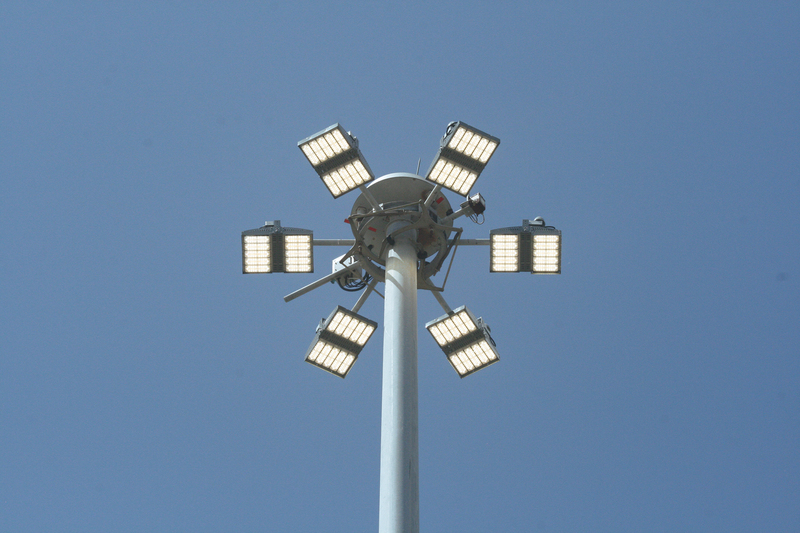 Install advanced NOVA Series LED High Mast luminaires with adaptive BLMS controls. The NOVA HM Series LED offers reliable, high-performance LEDs and drivers in a durable housing that provides enhanced color recognition and consumes 570 watts. A 100,000 hour L70 lifetime delivers significant energy savings over time and eliminates maintenance cycles. Integrated wireless controls using an 802.15.4 mesh network allows on/off/dim functionality with scheduling capabilities to achieve up to 25-30% in additional savings.